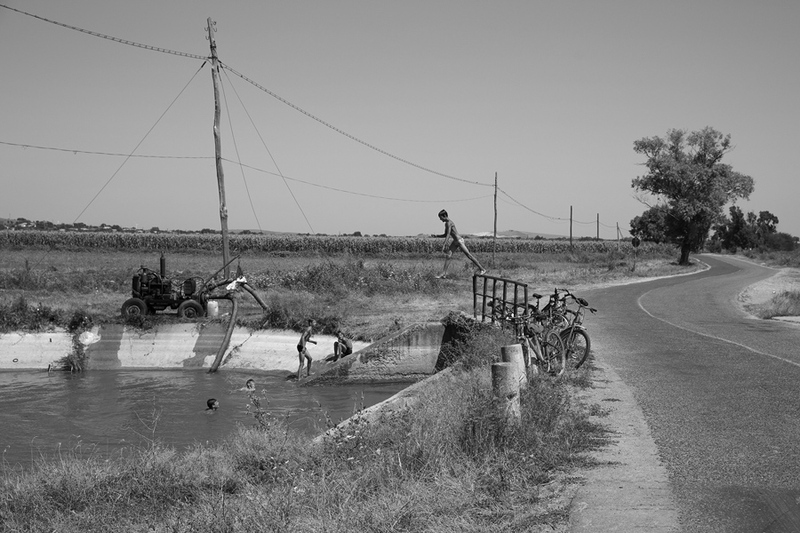 Early in the morning, Mahmudia, Aug 2015. Alexandru, 2, getting back with his father from the field work. Cioroiași, Dolj. The father had just received a warning from the police for not wearing reflective vest on a county road. July 2015. 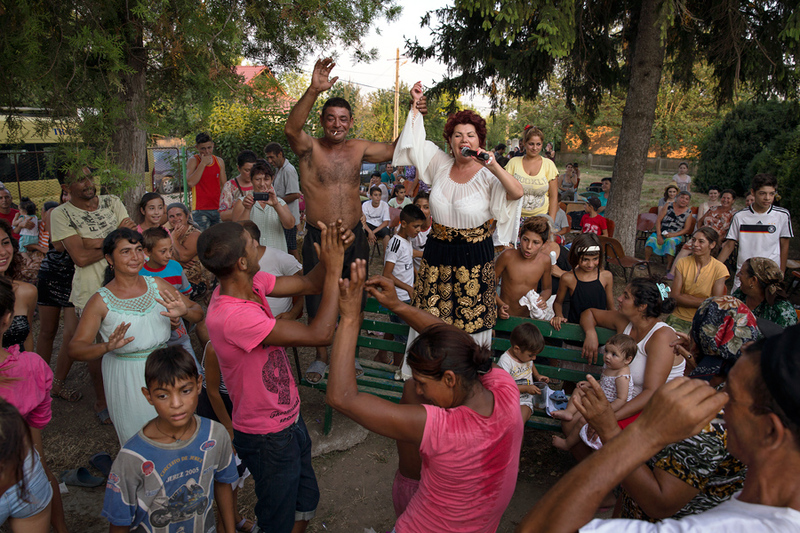 Romanian folk singer performs for the audience manele gipsy music in Găujani, Giurgiu, July 2015. Kids from Babadag jumping in Zebil lake. 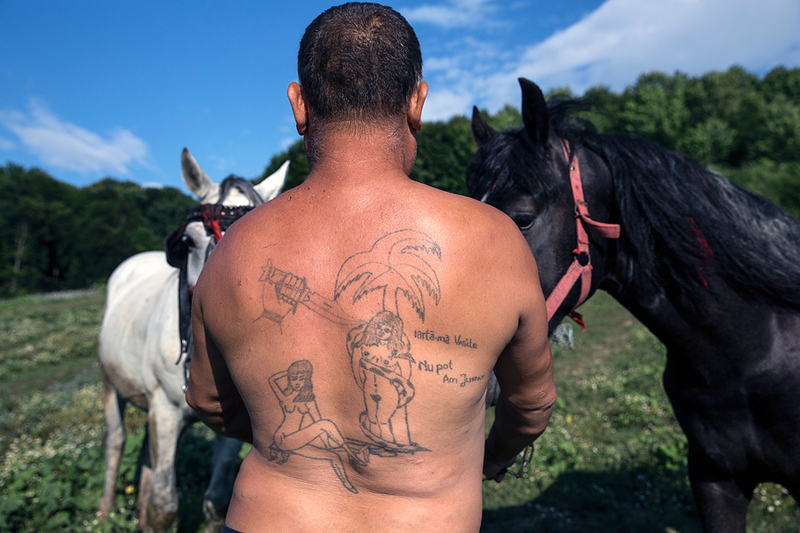 Romania, August 2015.